TechCircle had reported earlier this month that the two firms were in advanced talks and a deal would be announced in a few days’ time. As part of the acquisition, Zopper’s co-founder Neeraj Jain will join the PhonePe team as head of product for offline merchant solutions. Founded in 2010 by Jain and Surjendu Kuila, Zopper has pivoted twice in the last eight years. It started out as a community-based product review site called Reviews42 before rebranding and turning itself into a hyperlocal e-commerce platform. In 2015-16, Zopper pivoted again and split its business into two distinct divisions – a Point of Sale platform for offline merchants (Zopper Retail) and an extended warranty solutions unit for electronics purchased at offline outlets (Zopper Assure). Zopper Assure will continue being led by Kuila following the acquisition of Zopper Retail. Zopper Retail, which helps merchants with billing, customer relationship management (CRM) and inventory management, has signed up more than 15,000 customers so far. The PoS business is powered by Zopper’s acquisition of EasyPOS, a cloud-based PoS software maker, in 2016. The segment was expected to contribute 45% to Zopper’s overall business in the current financial year, TechCircle reported recently while examining how the firm had managed to stay afloat after multiple pivots. "By joining PhonePe, we look at strengthening our commitment of using technology for simplifying our merchant’s billing, payments and inventory management systems," said Jain. Zopper has thus far raised more than $20 million from institutional investors including Tiger Global, Nirvana Ventures and Blume Ventures. Flipkart’s co-founders Binny Bansal and Sachin Bansal had made angel investments in Zopper in 2012. Tiger Global is also a mutual investor in PhonePe's parent company Flipkart. In 2016-17, the first full financial year since Zopper’s second pivot, it posted consolidated net sales of Rs 4 crore, up from Rs 1.3 crore the previous fiscal. During the same period, the firm halved its consolidated losses to Rs 14 crore from Rs 28.7 crore. These numbers have been sourced from VCCEdge, the research arm of News Corp VCCircle. PhonePe, whose platform is based on the government-backed Unified Payments Interface (UPI), was acquired by Flipkart in early-2016. It operates independently of Flipkart, which is the process of being acquired by US retail giant Walmart for $16 billion. 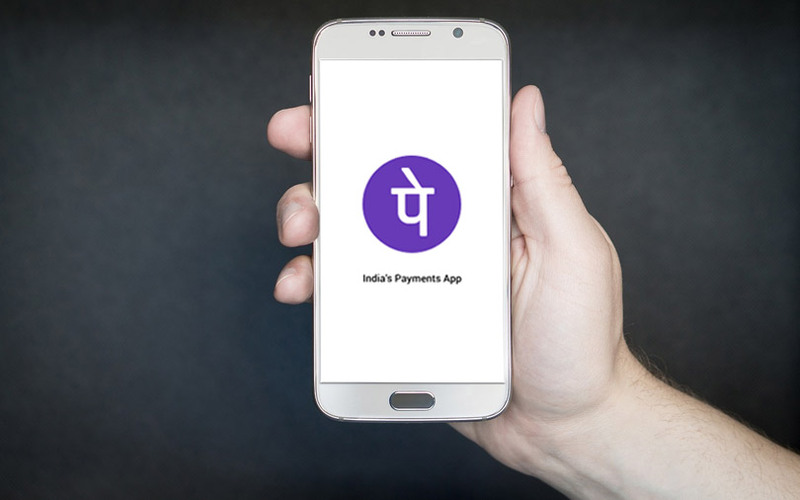 PhonePe and Paytm, which is backed by SoftBank and Alibaba, are the largest mobile wallet players in India with Google Tez among their rivals. PhonePe said last month that it had crossed the 100-million user mark. The acquisition of Zopper is part of PhonePe’s aggressive strategy to target offline merchants to expand its customer base, and for making it a ubiquitous payment method for smartphone users. Last October, PhonePe had launched an indigenously-developed PoS device to boost its digital payments play. Flipkart provides PhonePe with the requisite financial heft for taking on its rivals and growing the market. In March this year, PhonePe had received Rs 518.22 crore ($80 million) in a fresh funding round from Singapore-based Flipkart Payments Pvt. Ltd.
A back-of-the-envelope estimate by TechCircle indicated that the transaction valued PhonePe, as a standalone entity, at roughly around $575 million (about Rs 3,740 crore). In October last year, Flipkart had committed to pumping $500 million (Rs 3,254 crore) into its payments arm.